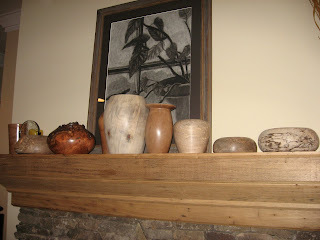 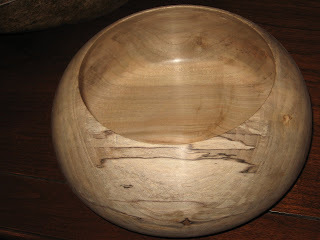 Paul has been busy turning bowls (and a few vases) lately. 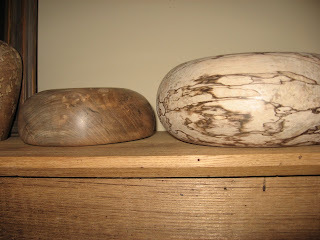 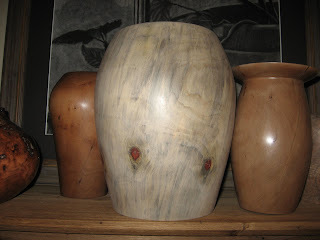 Here are a few he turned with spalted maple, walnut, norfolk pine and cherry. 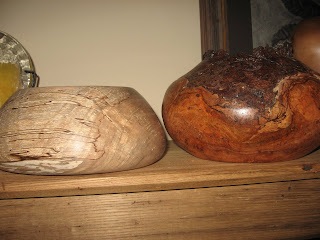 I may not have the woods right but his work is beautiful.